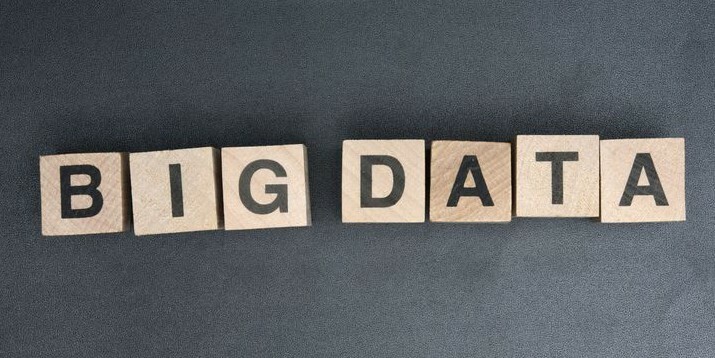 Big Data is so big, so daunting, so dynamic and seemingly limitless, it’s tough to even wrap our minds around how it works, let alone how it can help shape marketing strategies. Yet the evolution of Big Data is so critical to our future marketing success, it will soon be almost required that marketers comprehend and embrace it. For starters, let’s dive into the basics and uncover what’s going on technically. Then, we’ll merge it with current content marketing agendas, and see what the key takeaways are for the next cycle and beyond. Volume, or data size: Big Data holds the wildly difficult goal of logging just about every bit of information published in the digital space. This includes images, blogs, articles, infographics, social signals, instant messages, emails — the list goes on. What is most notable about volume is the speed at which it continues to exponentially increase. For example, according to Marr, “If we take all the data generated in the world between the beginning of time and 2008, the same amount of data will soon be generated every minute!” This means technology must keep up with the ability to store such huge amounts of info, as well as make it possible for analysts to quickly and easily draw intelligent deductions. Velocity, or the speed of change: This aspect of Big Data tracks how fast new info is created, and the speed at which it moves. The latest wave of data technology allows analysts to study the data as it’s being generated, sans the need to place it into static databases. This is a huge advancement, and allows experts to be on the pulse of data velocity. Even a day’s delay can mean we are essentially out of sync with the evolution. Variety, or the various sources of data: There are a lot of different ways human beings express themselves, and a lot of technologies used as platforms. Variety tracks everything from relational databases, to videos, photos, and static media. In the world of Big Data, most of the info is considered unstructured, which means it doesn’t fit into relational tables that facilitate easy analysis. The latest advances in Big Data allow us to congregate unstructured information like social signals and voice recordings, giving these source varieties more value and relevance. Veracity, or uncertainty: As you can imagine, Big Data can be a messy business indeed. Veracity refers to how reliable the info and analysis really are. Some sources are more accurate than others, and these factors are computed into ranking the overall trustworthiness of the results. Things like typos and slang can skew results significantly, making veracity a key component to understanding what Big Data has to say. Value, or usefulness: Marr argues that value is most certainly “the most important V of Big Data.” If Big Data had no obvious value to the grand scheme of our lives and evolution, it wouldn’t be worthwhile to spend so much time and resources on the gathering and examination of this gigantic undertaking. Value, therefore, is the perfect attribute to lead us into the next portion of this Big Data study. How Do Content Marketers Use Big Data to Improve Results? To make a case for the essential nature of understanding and embracing Big Data, let’s use Marr’s 5 V’s to dissect how each should be a common part of any content marketer’s vernacular. Volume: By staying current on the latest volume trends in Big Data, marketers can see where the lion’s share of information generation is occurring. For example, current statistics tell us that Facebook sees 4.5 billion “like” clicks every day, as well as 10 billion message sends. Facebook and Instagram have the most engaged users, with 60% of users signing in daily, compared to 46% on Twitter. China has the most Twitter users, clocking in at over 35.5 million users. As Big Data sources stats like these, savvy marketers can use them to learn where their demographics are currently spending the most time. The more we know about our audience’s habits, the easier it is to engage and convert. Velocity: The Web is a very viral place, and when marketers are faced with just how fast news flies, a deeper respect for validity and integrity arises. A single misquoted tweet can send marketers into a spiral of bad publicity, while real-time marketing campaigns that respond to in-the-moment news can catapult brands from utter obscurity into household names. Big Data has a lot to teach us all about making sure we can stand behind any information we send out into the world, and the pace at which we respond to current happenings. Variety: Many companies fall victim to marketing ruts, getting stuck on certain platforms or tools that no longer perform as expected. For example, if you’ve focused on social media as your core content strategy for ages, and it turns out your specific customers are reading blogs, Big Data can help expose you to broadened marketing channels and a more creative approach to reaching your demographic. Marketers that stay current on information varieties can juxtapose that data with an awareness of their audience, and when those folks move, so should related marketing campaigns. Veracity: This is a big consideration often overlooked by marketers. Users often get it wrong when it comes to communication, and if we’re not searching for hashtags or community posts with typos, we aren’t seeing the full story being shared about our brands. This aspect of Big Data helps expose where things like colloquial speech are causing disconnects, which can be especially relevant for marketers working in foreign markets. Value: Just as Marr considers this the most critical component of Big Data, it’s without a doubt the biggest factor for content marketers to embrace as well. When we look at the sheer amount of data shared every millisecond, it’s abundantly clear Big Data an insanely crowded space. If you want to stand out from the limitless clutter, value is your saving grace. As Big Data continues to pile on the mammoth stats, marketers must create content of unparalleled relevancy and value, or their efforts will be completely ignored. As time ticks on, this necessity will only grow in urgency. Adopting a fierce commitment to quality now remains the single greatest policy you can adopt for timeless relevancy in your campaigns. In Marr’s words, “Big Data is a big thing. It will change our world completely and is not a passing fad that will go away.” The more we are willing to embrace the nearly endless list of lessons and conclusions exposed by Big Data, the more powerful we become as marketers who know where, when, and how to reach our core audiences.